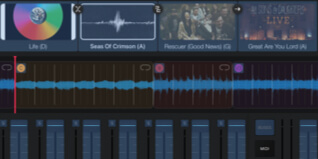 Playback: A Powerful MultiTrack Player for Worship Leaders. 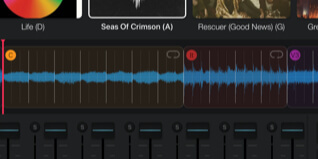 A MultiTrack player for Live Performance. In live performance you can transition between any song, click, or pad in your setlist. Content purchased from MultiTracks.com is available in Playback as soon as you login. AutoLink, Overlap, or Crossfade Songs in Playback. Localize your device and experience Playback in Spanish, Portuguese or French. 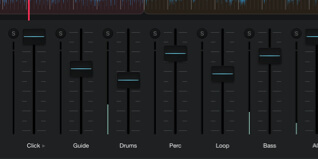 Adjust the mix of your tracks by adjusting levels, soloing and muting tracks. Fade out your tracks while click and guide continue. 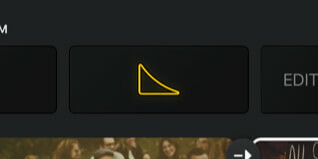 Edit your arrangement live or before service and your guide cues automatically update. 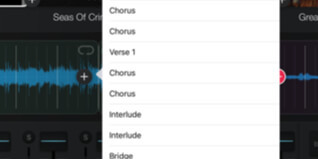 Tap and hold to re-arrange the order of songs in your Setlist. Edit when songs start and end. 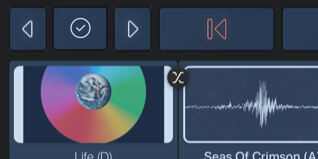 Enable a 5 second fade out at the end of the song to improve transitions. 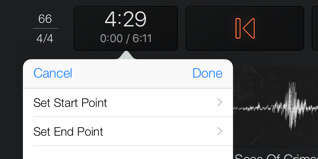 Load Pads into Playback and add a click at any tempo or time signature. 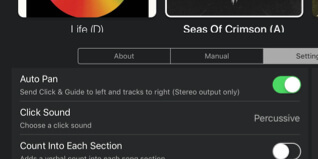 Add or remove song sections anywhere in your arrangement. Repeat any section live in the moment. 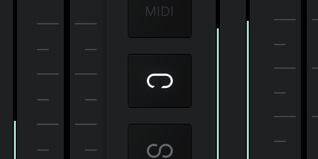 Assign to a MIDI Controller for out of sight control. Repeat any section until you disable Infinite Loop. Assign to a MIDI Controller or Preset before hand. 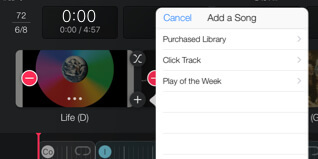 Re-arrange your song live in the moment by double tapping on any song section. Separate click/guide from your tracks when using two outputs. 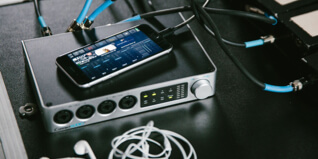 Use a supported USB audio interface to send multiple outputs from your iPhone or iPad to your soundboard. Using an audio interface to send Multiple outs is as easy as connecting it. All the routing is done automatically for you. Connect your favorite MIDI controller to control Playback remotely. Use a MIDI controller to jump around your arrangement live in the moment without touching your iPad or iPhone. Assign your MIDI controller to any song section to jump to that point in the arrangement live in the moment. Live CrossfadeIn live performance you can transition between any song, click, or pad in your setlist. Importing ContentContent purchased from MultiTracks.com is available in Playback as soon as you login. 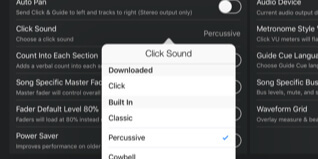 Built-in ClickChoose a Click Sound, Adjust subdivision levels, and add a Click Track to your Setlist. 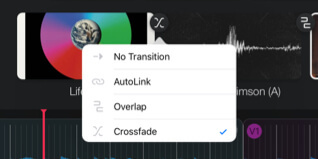 Transitions MenuAutoLink, Overlap, or Crossfade Songs in Playback. 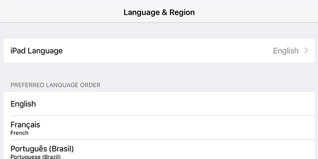 Localized and TranslatedLocalize your device and experience Playback in Spanish, Portuguese or French. Dynamic Guide CuesEdit your arrangement live or before service and your guide cues automatically update. 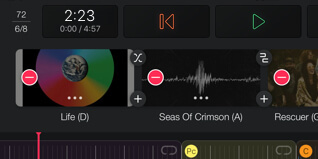 Editing SetlistTap and hold to re-arrange the order of songs in your Setlist. Editing Start and End PointEdit when songs start and end. 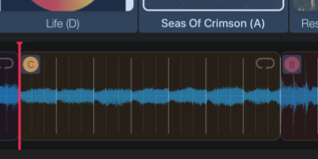 Enable a 5 second fade out at the end of the song to improve transitions. 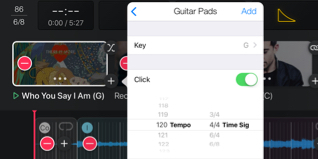 PadsLoad Pads into Playback and add a click at any tempo or time signature. 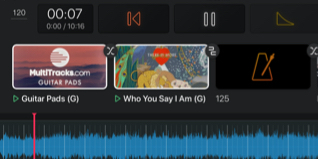 Editing ArrangementAdd or remove song sections anywhere in your arrangement. Live LoopRepeat any section live in the moment. Assign to a MIDI Controller for out of sight control. 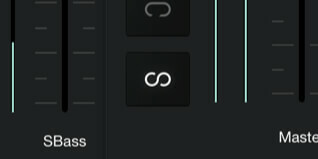 Infinite LoopRepeat any section until you disable Infinite Loop. Assign to a MIDI Controller or Preset before hand. Live ReOrderRe-arrange your song live in the moment by double tapping on any song section. Auto PanSeparate click/guide from your tracks when using two outputs. MultiOuts®Use a supported USB audio interface to send multiple outputs from your iPhone or iPad to your soundboard. 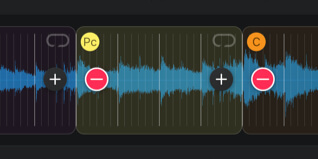 SmartRoutingUsing an audio interface to send Multiple outs is as easy as connecting it. All the routing is done automatically for you. Control via MIDIConnect your favorite MIDI controller to control Playback remotely. 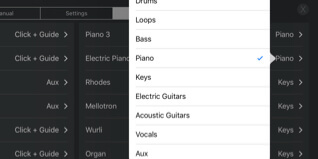 MIDI NavigationUse a MIDI controller to jump around your arrangement live in the moment without touching your iPad or iPhone. MIDI Mapping to Song SectionsAssign your MIDI controller to any song section to jump to that point in the arrangement live in the moment.